Position yourself as the marketing expert in the eyes of your current and potential luxury clients and outclass the competition with this professional digital on-line product, which take your printed marketing into the digital era. 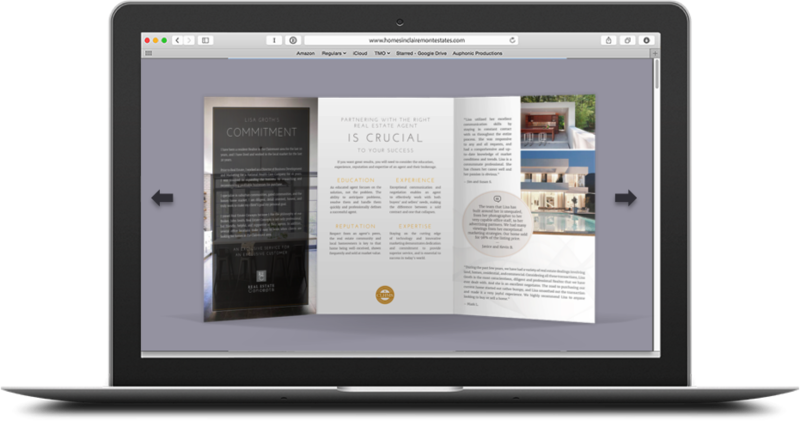 Convert your personal brochure to a digital format that can be placed as a photo link in your email signature, website/s and social media platforms. Design time is charged at $79.00 per hour (typical design time = 2 hours depending on customization). 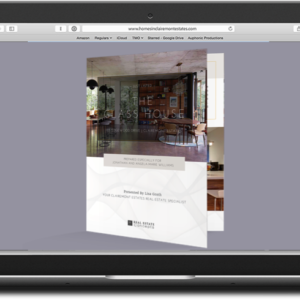 NOTE: If you are also wishing to purchase the print product then please go to the corresponding property brochure page to purchase (to avoid double charges on design time).